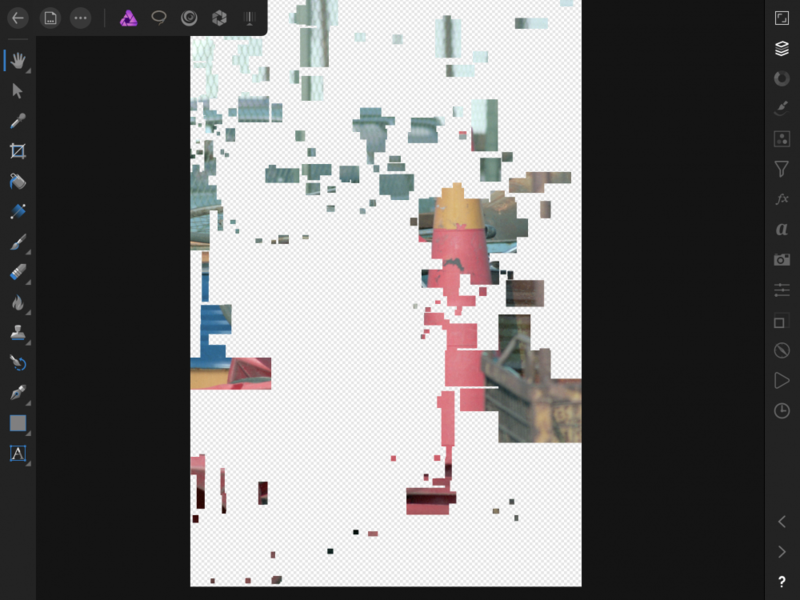 Sometimes the following annoying error occurs in Affinity for iPad: when I edit a scanned image (TIFF) sometimes the display of the image gets broken. Only a few parts of the image are shown then. Looks like only the edited parts of the image are shown. If you zoom in, the image will be displayed completely, but if I zoom back, it is broken again. An export of the image works without any problems. Closing and reopening affinity does not help. 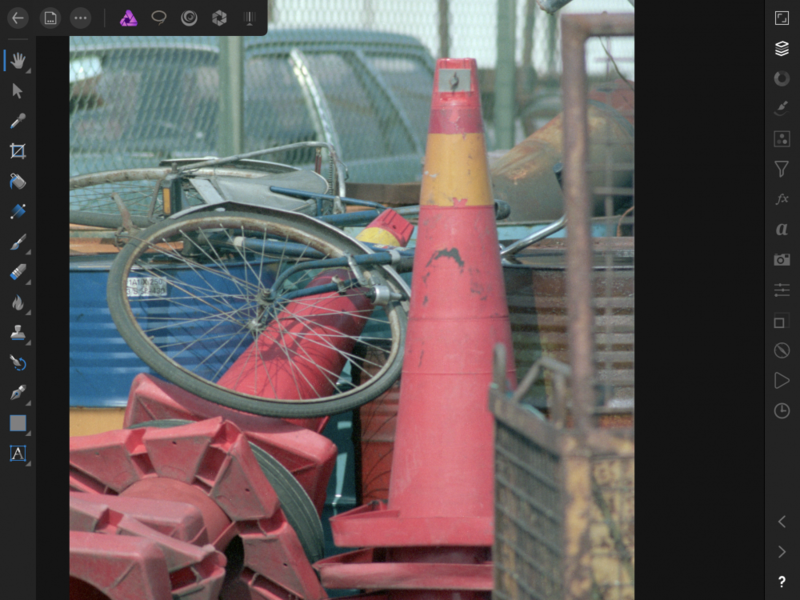 Attached you find two screenshots of the same image opened in Affinity in to different zoom levels, one broken, one ok. Does anybody else have this problem. Is there a solution for it? 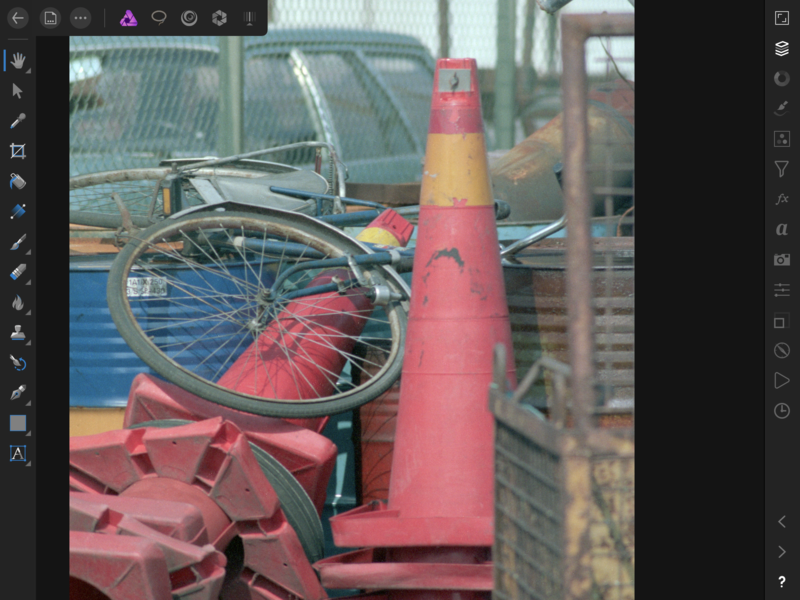 Any chance you can attach the .afphoto file shown above in the screenshot for inspection? Click the small icon icon on the bottom right of the thumbnail in the Welcome screen and select Save a Copy. You can save it to a cloud service and share the link with us or we can provide an upload link for you if you prefer. are there any hints to solve my problem? Thanks for the file @beutelmull and sorry the delay getting back to you. I've been able to replicate the issue here. I will get back to you again as soon as there's some news. Can you also attach the original scanned image (TIFF) show in the screenshots please? What tools/steps have you used/performed to get to that state? To remove spots and scratches I use the restore tool („restaurieren“ in German). Therefore I change the zoom level and the size of the brush quite often. I hope the information helps to find the cause of the problem. Thanks for the file and additional info. Issue logged to be looked at/files passed to the dev team. 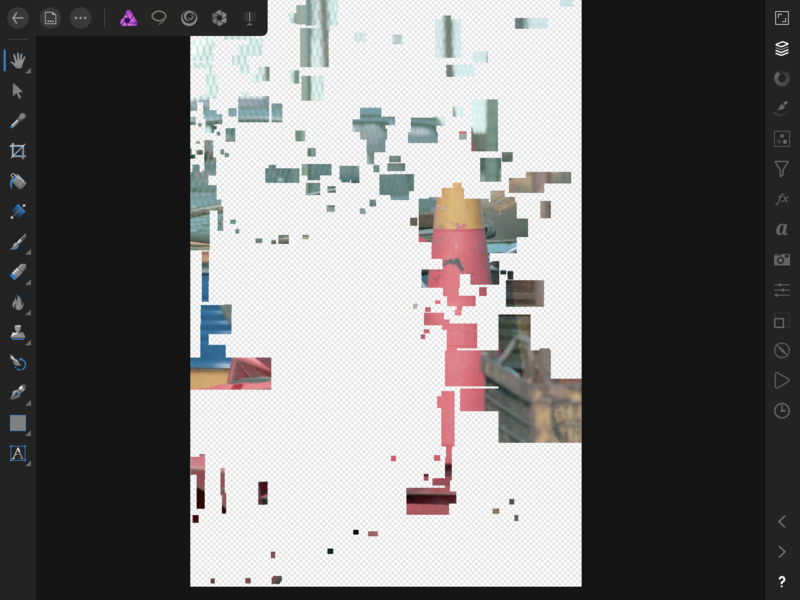 An update on this issue: we are still not sure how you got to this point (corrupted rendering) but if you drag the layer to the pasteboard area, release it, then drag again to the canvas and save the file it should fix the corruption issue (repeat, move the layer around if it doesn't fix the issue at first try). Maybe that helps to reproduce the problem. In this project I did the same as I mentioned above. I’ve scanned a negative as TIF imported it into Affinity Photo on my iPad and then heavily removed scratches and dust spots (with my Apple pen) while zooming in and out very often.